HOW IT WORKS: All #1 OPM and International songs of 2017 were included and ranked according to their longest stay at the No. 1 spot. The cut-off period for Weekly Top 20 is from the first charting week of January 2017 until the week of December 24-29, 2017. 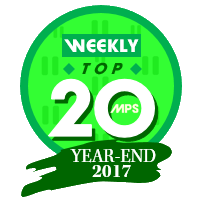 See what fans has to say about the Weekly Top 20 MPS Year-End 2017 results! Taylor Swift also grabbed the top spot on Weekly Top 20 Year-End 2017 chart with "Look What You Made Me Do". ​She also had another entry at No. 14 off her second reputation single, "...Ready For It?". There were 9 OPM songs this year and Sarah Geronimo has the highest entry at No 2. She also had the most number of entries with 3 songs. For the first time, only 19 songs were able to reach the number 1 spot this year. 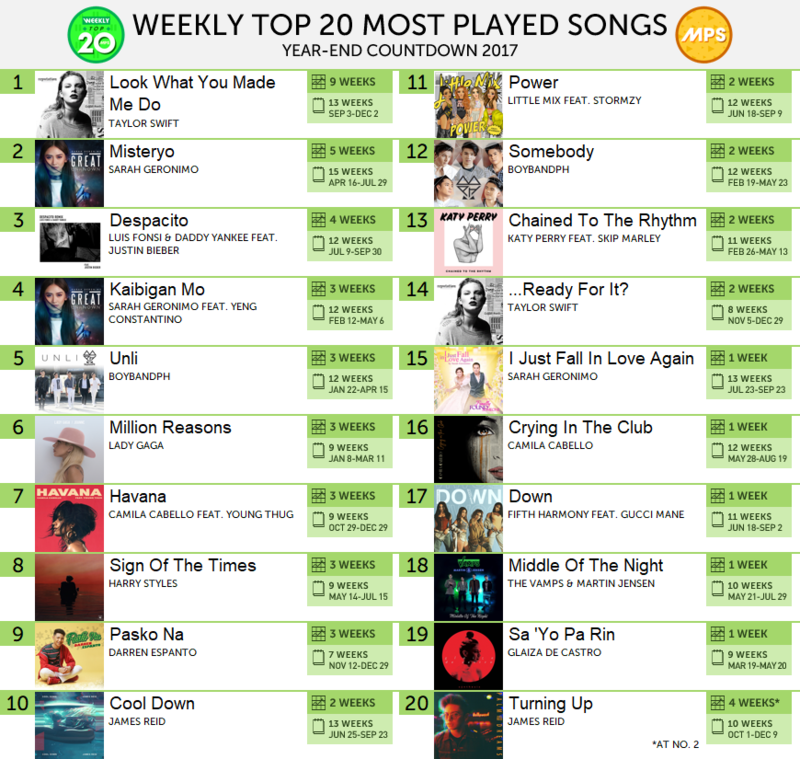 In this case, the next rank will be the basis and it turns out that "Turning Up" by James Reid which spent 4 weeks at No. 2 will have the last spot. Congratulations to all the artist who made it at the Weekly Top 20 Year-End 2017! Thank you for making 2017 a very good year in the music scene!